I try to capture a moment in time, when a song transports you to a moment, the culture the mood, the references personal and general. They are of London as I have been raised and heard the stories of the east end from its people, Jack the ripper to the cable street riots, the 50’s and swinging 60’s the good the bad and the ugly. I use suburban collectibles and model miniatures to add layers and bring some real London items into the work. London Walls have a story to tell, but it comes from behind them. They are big bold pop art influenced pieces from a distance as you close in they have more visual surprises a nod to my main influence LS Lowry. 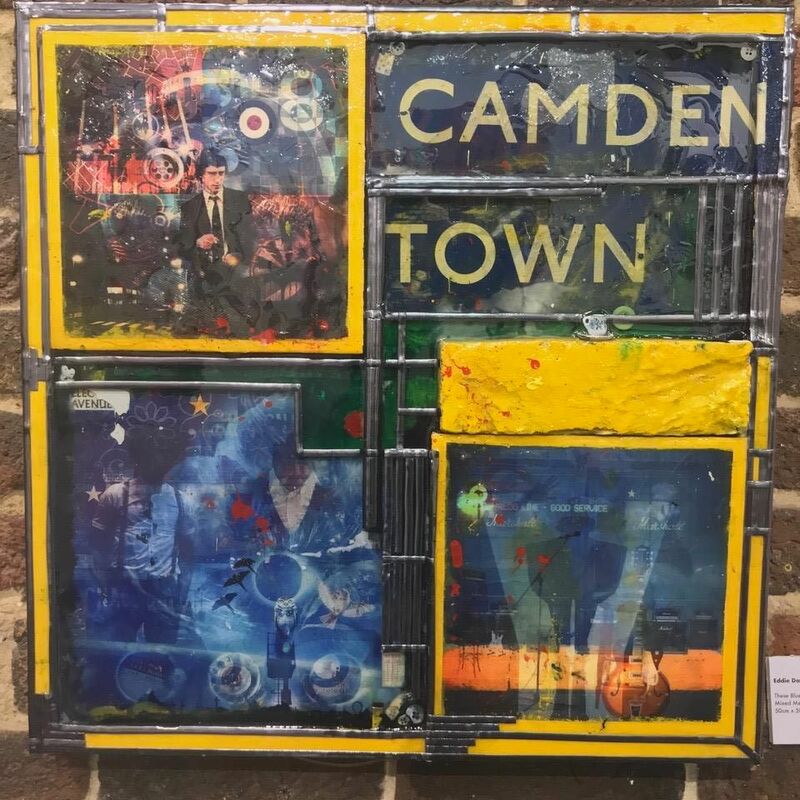 Images are multilayered and manipulated photographs, the frames consist of reclaimed wood, iron, Brick and resin, and furniture lacquer finishes for strength and reflectiveness all with original transport collectibles incorporated, to aid the story. I would like to create larger pieces, I’m interested in preserving the architecture and feel of London and how art can highlight that. I’d like to incorporate installation into the work, to create an whole themed event around the work.